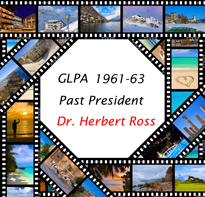 "Slides & Stories-Rediscovering Award Winning Work of Lynn Photogrpaher & Past President Dr Herbert Ross - 1961-63"
A presentation of award-winning slides from the work of Dr Herbert Ross, President of the Greater Lynn Camera Club during the 1960’s. Jacky Ross Ankeles, daughter of the late Dr. Ross, has put together an inspiring and powerful collection of his slides, highlighting his favorite subjects: People, Textures, and Narratives. Together with the slides, Ankeles shares childhood memories of her father’s devotion to the art of Photography. The presentation provides a unique opportunity to hear about the earliest days of the GLCC -predecessor of the GLPA and to enjoy an extraordinary selection of images unseen by the public in 60 years. Jacky Ross Ankeles is a North Shore native. Her entire life has been devoted to the arts. She was a performing member of the Boston Ballet for a number of years, is a Classical pianist, and recently wrapped up a 30-year career in broadcasting. As a local radio personality for Northshore 104.9-WBOQ for over two decades, she was an announcer for 3 different formats: Classical, Jazz, and Classic Rock. She also hosted the station’s public affairs program North Shore Now. In 2010 Jacky moved to WNBP in Newburyport where she was the midday DJ for a format featuring the Great American Songbook, then once again, Classic Rock. Since retiring last year, she has been happy and gratified to work on this project to showcase her father’s work.